Supplementary to our standard tour package as detailed in our e-mail, and to further enhance your 2019 Formula1 Etihad Airways Abu Dhabi Grand Prix experience, we can also offer you an unforgettable visit to Ferrari World, or some exiting Dubai excursions! 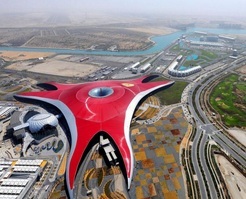 Visit the unbelievable Ferrari World theme park, located next to the North Grandstand of the Yas Marina circuit. 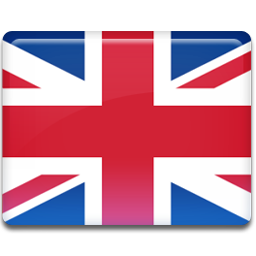 The world’s largest indoor theme park features a host of rides and attractions to create an unforgettable experience for every member of the family. Experience every facet of the Ferrari story – go behind the scenes, live the triumphs, feel the passion Ferrari’s racing history and surround yourself in the beauty of Italy. The world fastest roller coaster reaching speeds of up to 240km/h, cinema Maranello, delightful Italian restaurants and a huge Ferrari Store, is only a few of the many highlights of this world famous theme park! 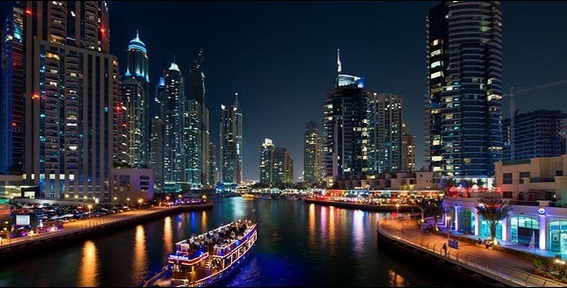 Sample the historic sites and vibrant cosmopolitan life of Dubai on this comprehensive tour. The tour starts with a photo-stop at the iconic landmark of Dubai, Burj Al Arab Hotel. 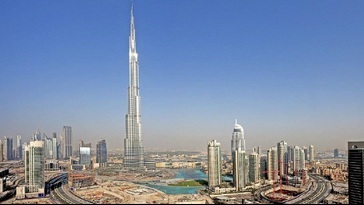 Proceed to Jumeirah, the picturesque palace and residential area of Dubai, also home to the impressive Jumeirah Mosque. 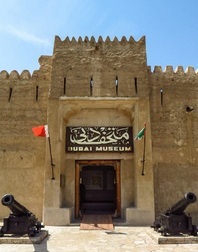 The tour continues to Al Bastakiya, the old part of Dubai, to reach the museum located in Al Fahidi Fort. All aboard the Abra (water taxi) to cross the Creek to the spice souk. On your return, there is time to shop in the most famous landmark of Dubai – the gold souk. For a fabulous relaxing evening join our traditional Arabian dhow for a journey with a contrast of the old and new Dubai, while you cruise on the Dubai Creek. Enjoy a sumptuous feast of Arabic and International cuisine while gently gliding past illuminated souks, banks and palaces. 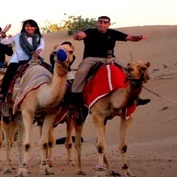 This tour departs in the afternoon across the desert with photo-stops during an exciting dune drive and a stop at a camel farm. The drive continues across the desert. Watch the beautiful sunset in the desert, reach our campsite where you have the opportunity to do camel riding, sand boarding and try out a henna design on hands or feet. Witness the traditional folk dance Tanoura that is sure to mesmerize you. 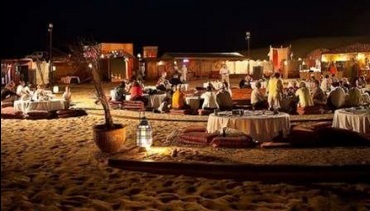 After working up an appetite enjoy a delicious barbecue dinner and a shisha (the famous Arabic water pipe). Watch our belly dancer perform her show around the campfire by starlight.